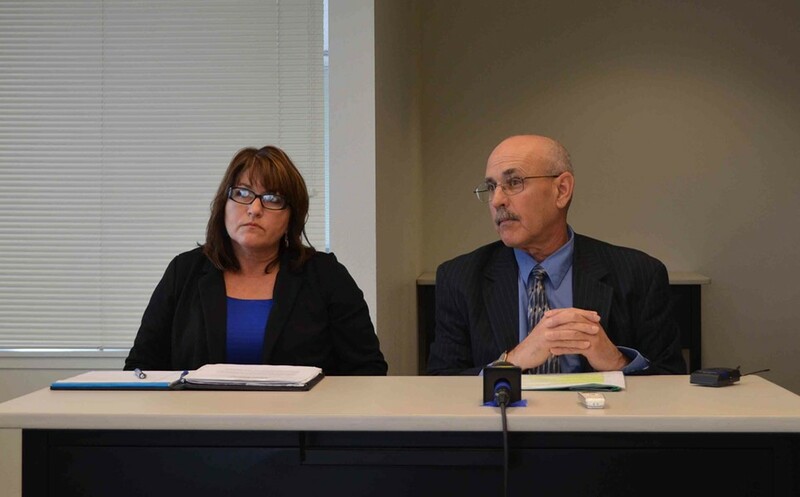 DHHS Assistant Director of Administration Connie Beck and DHHS Director Phil Crandall discuss the county's plan to staff the Mental Health Branch. County officials announced a plan today to address a staffing crisis at the Mental Health Branch that bubbled to the surface in recent weeks. A spate of resignations was poised to leave mental health — which runs Sempervirens, the county psychiatric hospital, and provides other outpatient adult and child psychiatric services — with only one full time physician/psychiatrist at the beginning of April, according to a report by Ryan Burns of the Lost Coast Outpost. The outgoing physicians have complained of poor management, dangerous working conditions, low pay and long hours, partly exacerbated by an inability for mental health to attract and retain doctors, Burns reported. Letters from two physicians, which the Journal obtained through a public records request, further detailed the problems at mental health. Read them here and here. This morning, Department of Health and Human Services Director Phil Crandall told a group of reporters that the county is in final negotiations with a third party company that will fully staff the mental health department with psychiatrists. Crandall declined to share details of that proposal, which is expected to go before the Board of Supervisors for approval on March 17, before negotiations were complete. Contracting with a staffing company, Crandall said, is expected to bring some stability to the Mental Health Branch, making it safer for all its employees and fulfilling its services to patients and their families. He estimated hiring out the staffing of 6.8 psychiatrist positions to a third party won’t cost the county much more than it’s already spending to staff the branch with locum, or temporary, physicians. Crandall said trouble retaining physicians on the North Coast has been exaggerated in recent years by increasing recruitment of psychiatrists by U.S. Veterans Affairs and the state prison system.